Pack #7 contains 44 sheets, and will create 6 different block styles. 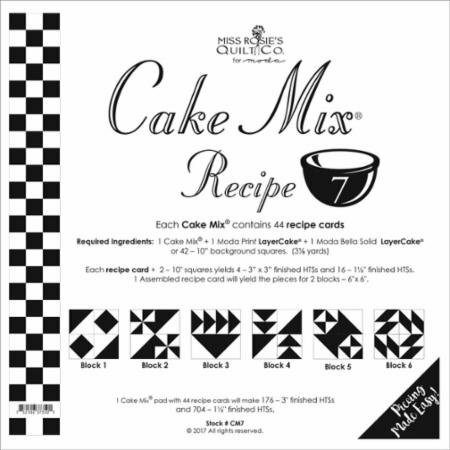 Each recipe card plus (2) 10" squares yields (4) 3"x3" finished Half Square Triangles (HSTs) and (16) 1 1/2" finished HSTs. 1 assembled recipe cards makes (2) 6"x6" finished blocks.